Do you love God? Do you desire to worship God? At Philippian Community Church (PCC) there are many opportunities for you to use your artistic gift(s) by leading or joining the church in worship of our Creator. Children, youth, and adults are welcome to participate. Come join an exciting group of people serving God through the arts at Philippian Community Church of Jacksonville! Contact the Minister of Worship/Arts, at the church. The Adult Choir is open to all adults, ages 21 and up; who are committed to glorifying God with their musical talents. The Adult Choir ignites worship and praise for the 11:35am Sunday worship services as well as Friday night and during special occasions when called upon. The Adult Choir rehearses on Thursday evenings from 7:00 PM to 8:30 PM. These times are subject to change as per the Minister of Music. Ensemble membership is open to talented players, age 16 and above. If you are a brass, woodwind, strings or percussion player, you are invited to use your musical abilities to praise God with this instrumental group. Rehearsals are on Thursday evenings from 7:00 PM to 8:30 PM during adult choir rehearsal. You are also asked to travel with the adult choir whenever they are visiting other church locations. An interview with the Minister of Worship/Arts, is required for this group. 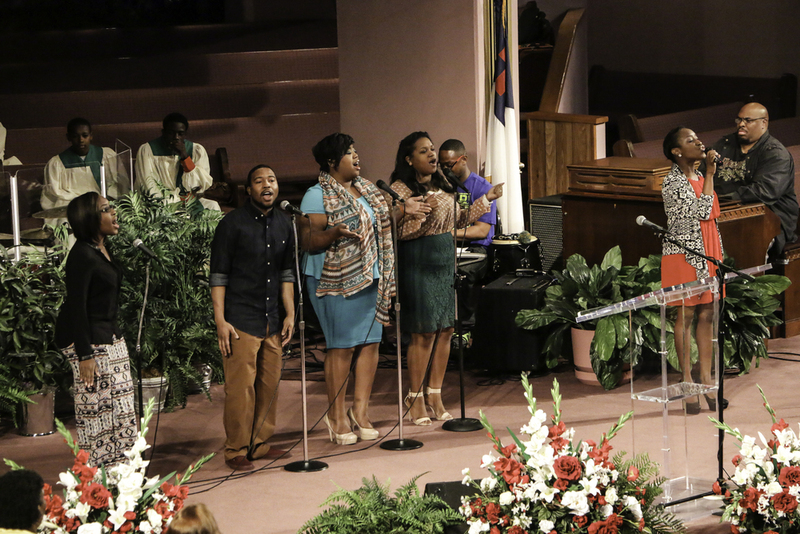 The Praise Singers provide the worship leadership for the 11:35 AM worship services as well as Tuesday night, Friday night and during special occasions when called upon. Rehearsals are at 7:00 PM Wednesday evenings in the Sanctuary these times are subject to change. The Men's Chorus is open to all men adults age 21 and up who are committed to glorifying God with their musical talents. The Men's Chorus provides worship leadership Impromptu and during special occasions as called upon. The Men's Chorus rehearsals are Monday evenings at 7:00 PM. Time is subject to change. 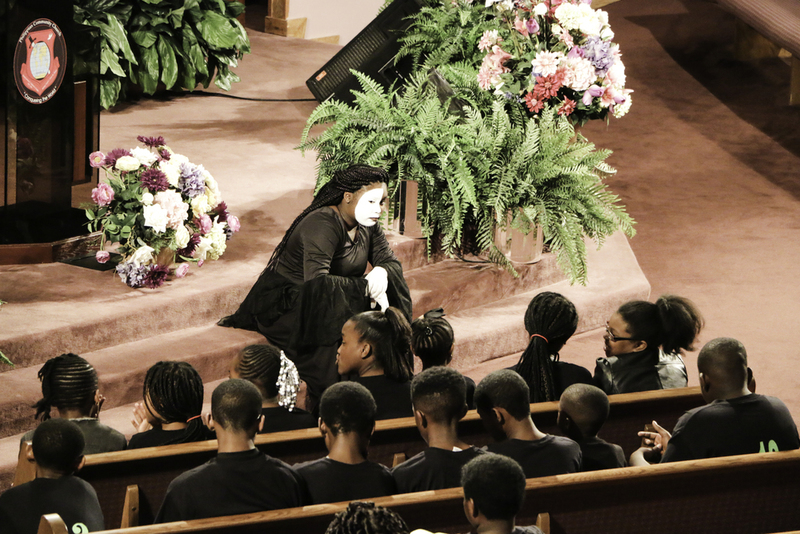 The MIME Ministry provide the art or technique of portraying a character, mood, idea, or narration by gestures and bodily movements; pantomime. Rehearsals are Impromptu. If interested please speak with Lady LaStochia Jones or Olivia Lester. Dance has been an important part of religious expression throughout history. In the Christian tradition, dance was mentioned several times throughout the Old Testament, as the faithful danced to express worship, praise and thanks. 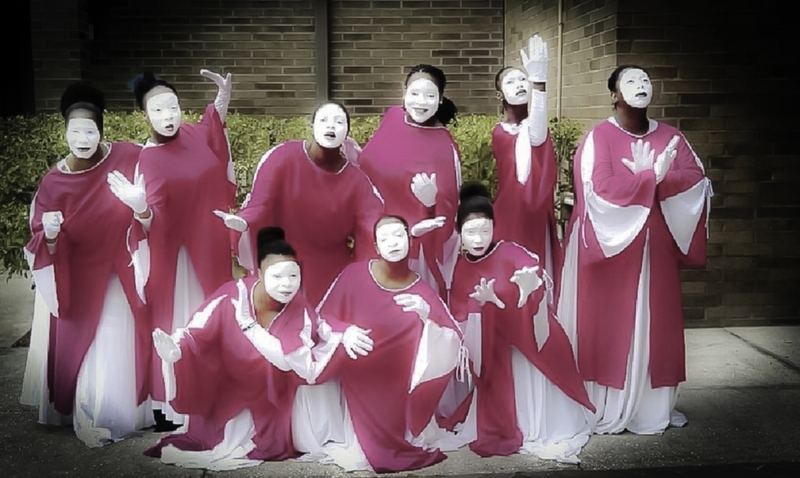 The Praise Dancers provide the worship leadership during special occasions when called upon. Rehearsals are at 7:00 Monday evenings these times are subject to change. If interested speak with Lady LaStocia Jones.